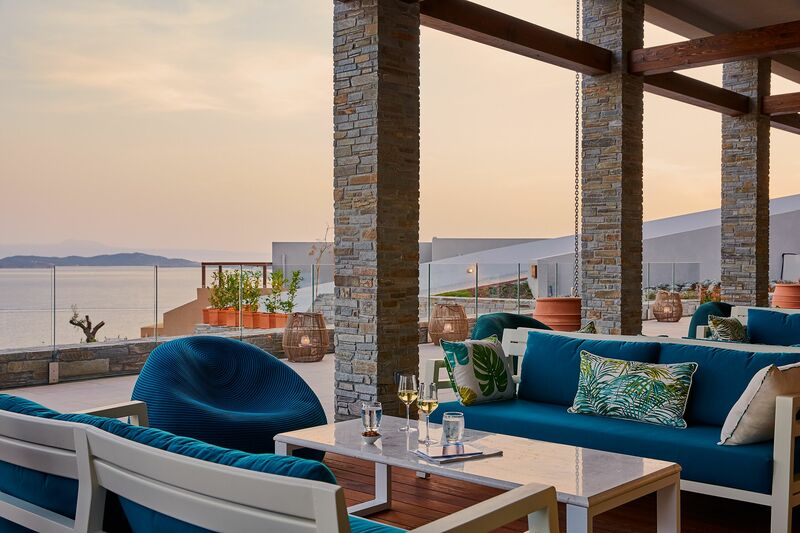 The first quarter of the year is the best time to plan for the upcoming summer holiday season, and Small Luxury Hotels of the World’s™ five new hotels in Italy and Greece offer a wealth of history, culture and surrounding attractions to suit the tastes of just about everyone. Whether it is picking up new culinary skills for a Tuscan feast, tasting the best olive oils, learning a traditional Apulian tarantella dance, discovering new sights on a Vespa with your significant other or spending a day of water sports with the family, guests are in for a summer to remember. Set on a green hillside on the Halkidiki Peninsula in northern Greece, this collection of luxury sea view villas with private heated plunge pools is a newly created extension to Eagles Palace on the same golden beach and great for sun-seeking families. All villas offer privacy and beautiful sea views towards Mount Athos and the Aegean Sea, and are designed with families in mind. Ideal for children as young as four months, the resort’s Aqua Explorers kids club, offering six watersports programs daily for 5-13 year olds, will keep the kids occupied while parents unwind at the spa or explore the historic villages and peaceful beaches of Halkidiki. SLH Insider Tip: For a great day out, hire a private boat from the watersports centre and explore the beauty of Halkidiki, or the hotel can organise excursions to Mount Athos. Tucked-away in the ancient heart of Rome, this intimate boutique hotel is only a short stroll away from the Spanish Steps Trevi Fountain, Pantheonand the shopping district. The revived historic mansion in the Campo Marzio neighbourhood used to be a convent and dates back to the mid-sixteenth century when it was known as the “House annexed to Palazzo Borghese”. Most of the hotel’s windows offer a view of the private gardens of Palazzo Borghese, which won the Sotheby’s award for best restoration in 1997. 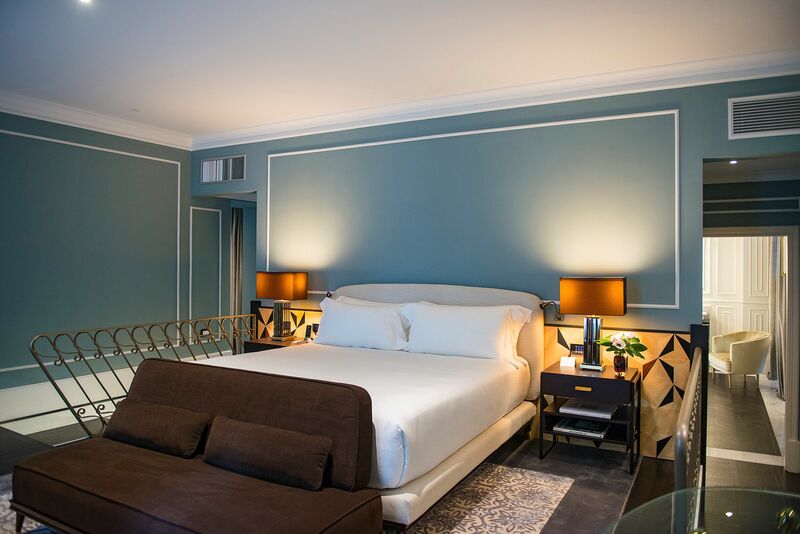 Its 18 rooms, suites and Adelaide bar and restaurant are characterized by an Art Deco yet contemporary feeling – think marble bathrooms, comfy velvet furnishings and elegant works of art perfectly placed – all hallmarks of architect and designer Paolo Bonfini. For the best experiences in Rome, the concierge can arrange tailor-made sightseeing trips and exclusive transport for guests. SLH Insider Tip: Be sure to seek out the best angle to view the hidden private gardens of Palazzo Borghese- we recommend the Melangolo Suite with its private terrace overlooking the garden. For a favourite local activity, have lunch at Trattoria al Moro followed by a leisurely stroll through some of the most emblematic corners of Rome on your way back to the hotel. Experience a warm Italian welcome that has made visitors feel at home for over 500 years when you arrive at Villa di Piazzano. This historic family-run estate is located in the countryside just outside Cortona, a town on the border between Tuscany and Umbria made famous by the American writer Frances Mayes with her book and later the movie, Under the Tuscan Sun. Originally the hunting lodge of Cardinal Passerini, a favorite of the Medicis, the Renaissance country estate tucked away in the hills has been lovingly restored to provide down-to-earth luxury to guests. Its location between Tuscany and Umbria also puts visitors in a great position to discover the region’s best cultural highlights. 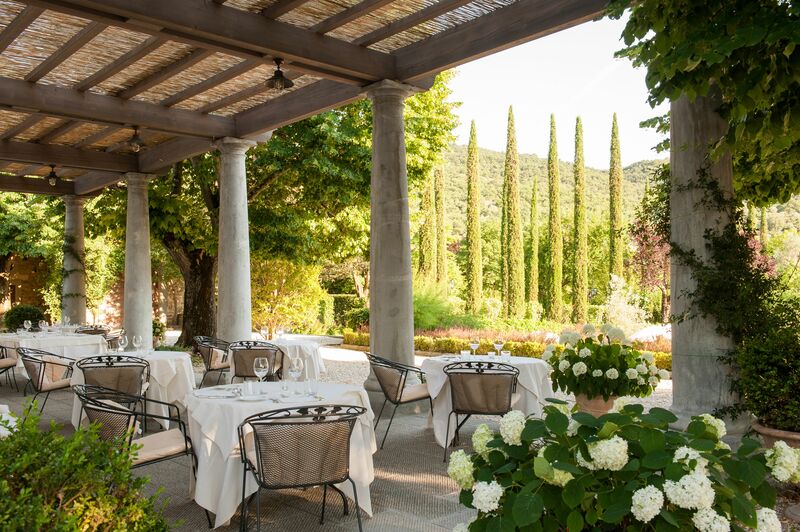 SLH Insider Tip: Participate in fun half-day cooking sessions at the Cooking School where guests can learn to make a hearty four-course Tuscan meal and enjoy lunch in the garden with a good bottle of local wine. Peering over the stunning waters of the Costa Rei beach on the beautiful south east coast of Sardinia, La Villa del Re is an adults-only luxury beach resort wrapped in gardens of fragrant Mediterranean plants. The beach resort is characterized by an elegant and refined style, without extravagant excess. With design inspired by traditional Sardinian architecture, this boutique hotel sees guests easily slip into the relaxed pace of island life. Rooms effortlessly fuse contemporary comfort with stylish Italian style. Outside, an infinity pool merges with the horizon. A table on the terrace, with endless views of starry skies, is perfect for a romantic getaway. SLH Insider Tip: Days at La Villa del Re can be as laid back or action packed as you wish. The resort’s pristine white private beach where guests can take in stunning views of the turquoise sea in the comfort of luxury loungers is just steps away. With its outdoor pool and serene spa, Il Melograno is every inch the contemporary Italian retreat. Set in an ancient olive grove in Puglia, this country estate is renowned throughout Italy as the first masseria–a fortified farmhouse used to protect Puglia’s rich produce from Saracens–to open its doors to guests and reveal 400 years of history. Today, the tables are set with local delicacies, with the chefs using many ingredients grown in the hotel’s own kitchen garden combined with the delicious offerings of the Adriatic Sea. The estate owns 200 protected olive trees, producing some of the finest Extra Virgin Olive Oil in Puglia. Immerse in the Apulian culture by learning the traditional Apulian pizzica or tarantella dance or sign up for the hotel’s olive oil tasting session. Or give your sightseeing some Italian character touring by vintage car, Cinquecento or on a Vespa scooter. SLH Insider Tip: Fancy a unique morning workout? The staff will be happy to place a treadmill under an olive tree. 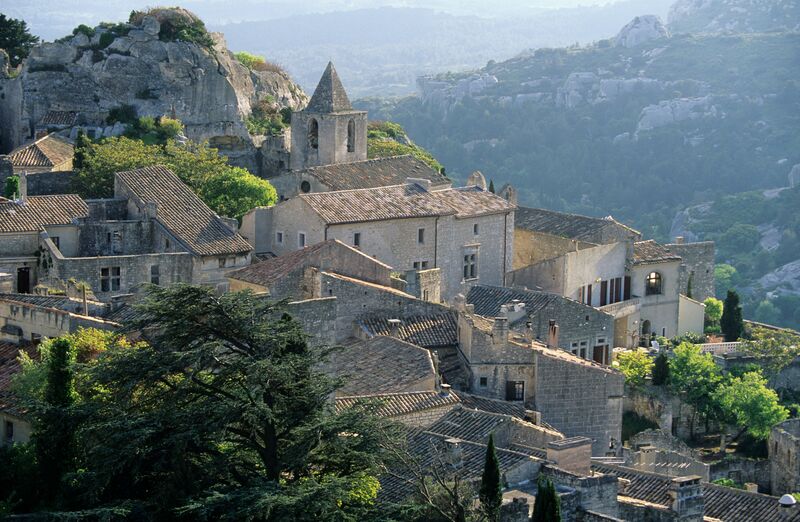 Domaine de Manville’s restaurant has been awarded its first Michelin star. 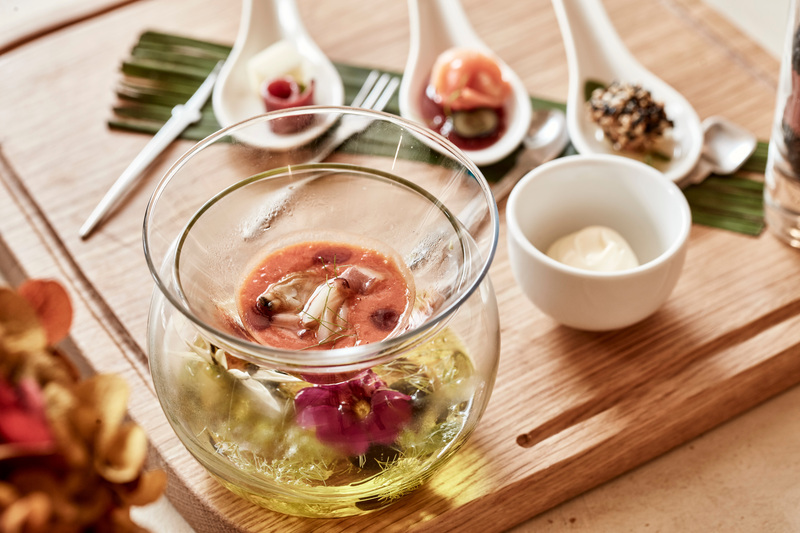 The restaurant reopened on March 3rd as Restaurant l’Aupiho following a redesign where Chef Matthieu Dupuis-Baumal showcases the very best local produce from the region. Try the ‘Découverte’ set menu at $105 (4 courses) or $154 (6 courses). About Small Luxury Hotels of the World: Small Luxury Hotels of the World™ (SLH) matches independently minded guests with independently spirited hotels. The diverse collection of over 500 hotels in more than 80 countries around the world includes everything from cutting edge design hotels and city centre sanctuaries to historic country mansions and remote private islands – all SLH hotels are consistently different, however, they are all united by the fact that they offer the best locations, highest quality, personalised service and a truly authentic way to discover a destination. Reservations for any SLH hotel can be made online at www.slh.com or via the iPhone app, by contacting a travel agent or calling a Small Luxury Hotels of the World reservations office; click here to view a listing by country.